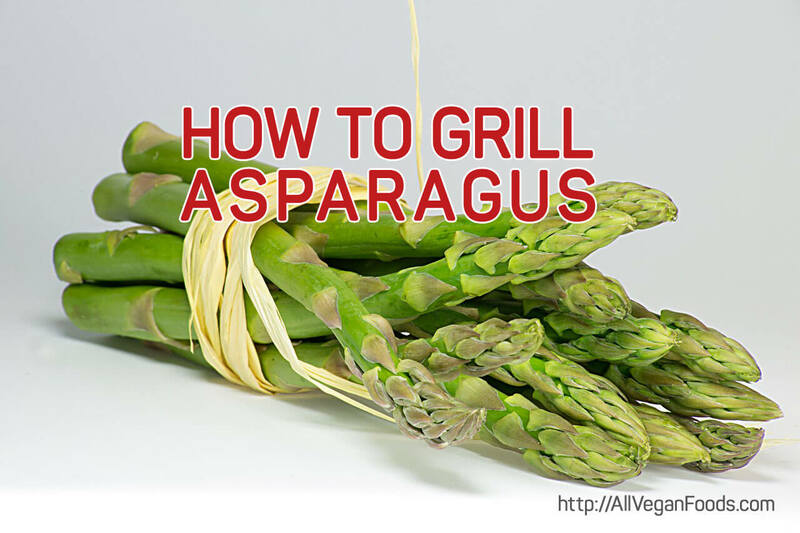 The first thing to consider is which oil to use when you want to grill asparagus. Coconut oil is more healthy when used for high-heat cooking. Use your expensive Extra Virgin Olive oil for salad dressings. It is easy to use coconut oil and if it’s still solid then just take a small amount between your hands. Then give the asparagus a little massage and ‘voila’ you have the asparagus covered in coconut oil. Avocado oil is also good for high-heat cooking. Trim the bases of the asparagus spears. Break them off by hand. I prefer to break them off by hand by starting with the base between my thumb and index finger and giving it a slight bend. Heat your grill to high 200°C /400°F. Wash the asparagus and pat dry. Place in a baking dish and toss with coconut oil, salt, and ground pepper until all of the spears are coated. When the grill is hot, place the spears across the grates and grill about 3 minutes then flip them over. Grill another 3 minutes or so until just blistering. Remove from heat and serve. Here are 11 vegan asparagus recipes http://www.glueandglitter.com/ for you to get inspired by.